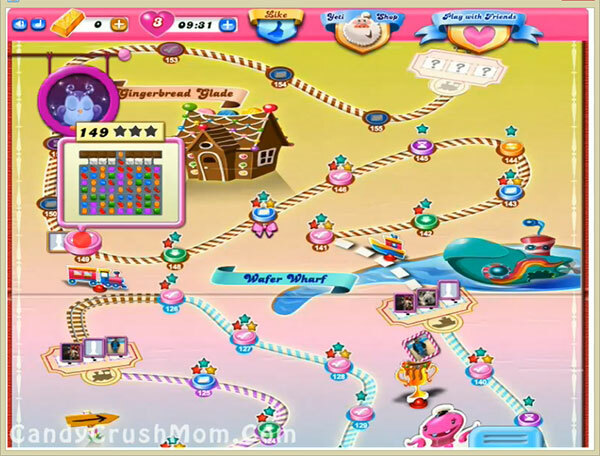 This level have normal difficulty and have 8 chocolates and six blockers. First you should try to break blockers then chocolates so candies can fill on board then try to make special combos and special candies to break all chocolates plus all orders. You have just 35 moves so try to save them and play more from bottom. We completed this level with 120620 score within 21 moves by using lot of special combos and rest 14 moves converted to bonus striped candy that help to get three star score for this level.